The UK's Signals Intelligence and Cyber Security agency GCHQ has launched its first ever puzzle book, challenging researchers and cryptographers to crack codes for charity. Dubbed "The GCHQ Puzzle Book," the book features more than 140 pages of codes, puzzles, and challenges created by expert code breakers at the British intelligence agency. Ranging from easy to complex, the GCHQ challenges include ciphers and tests of numeracy and literacy, substitution codes, along with picture and music challenges. "For nearly one hundred years, the men and women of GCHQ, both civilian and military, have been solving problems. They have done so in pursuit of our mission to keep the United Kingdom safe. GCHQ has a proud history of valuing and supporting individuals who think differently; without them, we would be of little value to the country. Not all are geniuses or brilliant mathematicians or famous names, but each is valued for his or her contribution to our mission." The idea for the GCHQ Puzzle Book came after the success of last year's cryptographic puzzle challenge that was dubbed the 'hardest puzzle in the world' and featured in Hannigan's Christmas card. Nearly 600,000 people from across the globe take part in the challenge; only 30,000 had made it reach the final stage, but three people came very close, who were considered winners by the GCHQ. However, the solution to the Christmas puzzle, including explanations from the puzzle-setters, was publicly made available early this year for anyone to have a look. 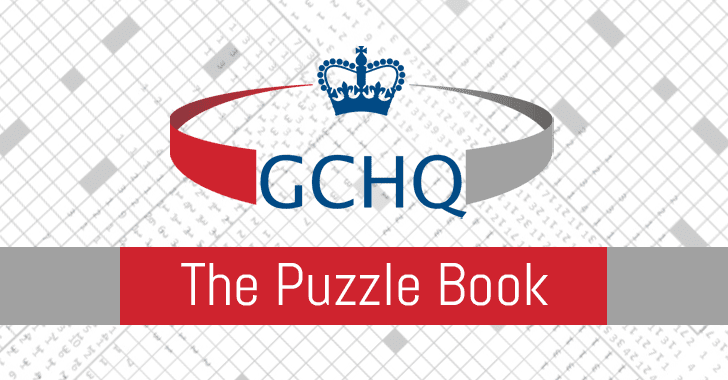 The GCHQ Puzzle Book, published by Penguin Random House, will be on sale from 20th October at High Street book retailers and online. All GCHQ earnings from the book will be donated to Heads Together — the "campaign spearheaded by the Duke and Duchess of Cambridge and Prince Harry, to tackle stigma, raise awareness and provide vital help for people with mental health challenges."